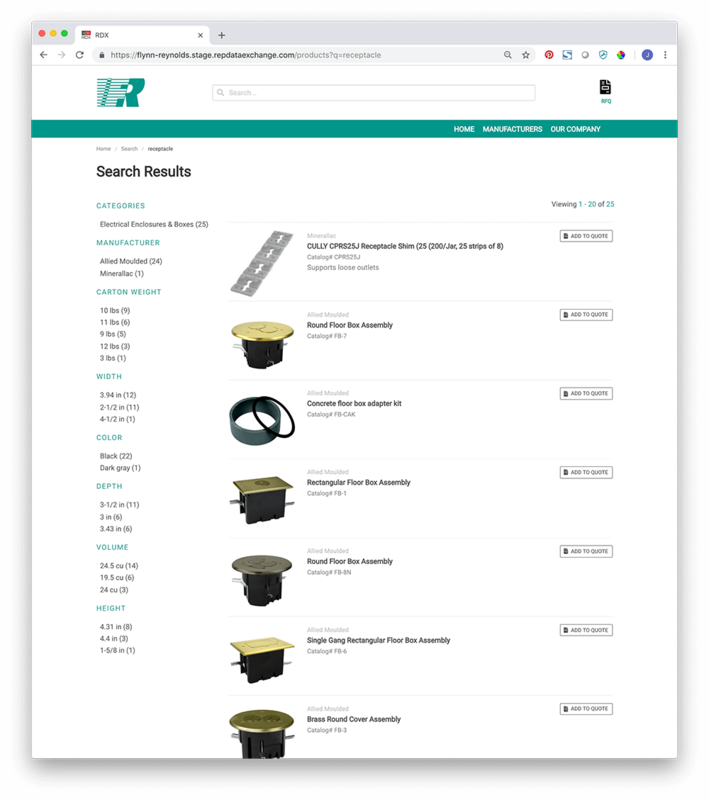 RDX is an online product catalog solution built for manufacturer rep agencies and featuring enhanced product information sourced directly from manufacturers. RDX, or the Rep Data Exchange, is another next-generation data solution from DDS, the leading product content provider serving the wholesale distribution industry. 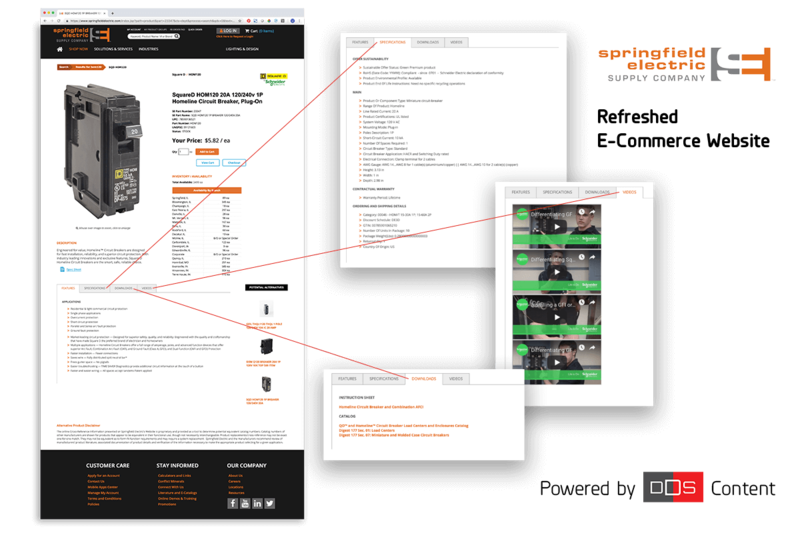 source for product content that is critical to end users as they research and source materials. The RDX catalog is unique to your organization based upon the lines you represent. 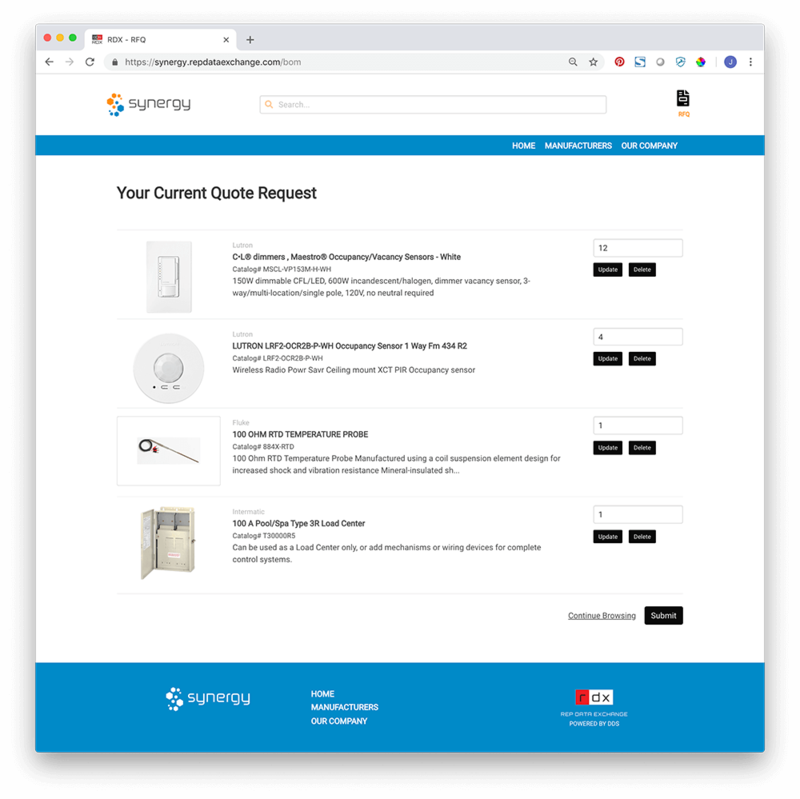 And the product content is updated regularly to ensure your customers receive accurate information. Developed by veterans of the electrical distribution industry, RDX helps you deliver quality product content and an exceptional online experience to your customers. RDX offers you a dedicated web catalog, branded with your agency’s logo and colors, that can be up and running within two weeks. I want my own RDX catalog! 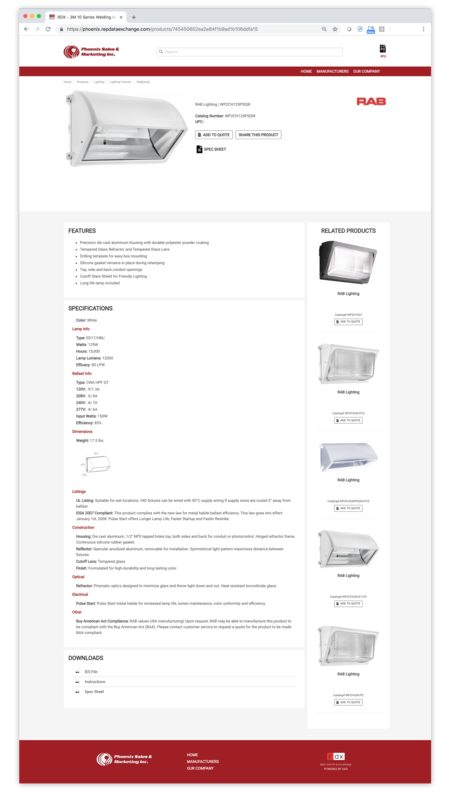 For more information on the RDX solution, including pricing (and the number of your manufacturers and SKUs that we already have available), please contact us today via the form below. We’ll get back to you right away. DDS works with more than 850 manufacturers and we have data for more than 3.5 million products—and we're always adding more. 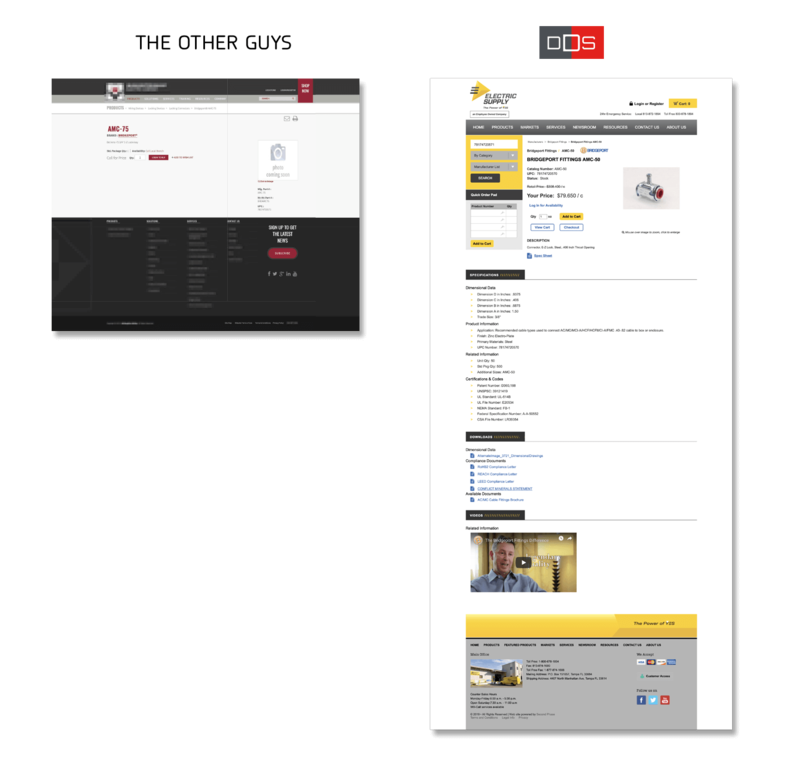 The graphic above is just one example of how DDS’ enhanced product content (at right) compares to “the other guys.” For more such examples, and additional detail on how our product content is the best in the business, click below. 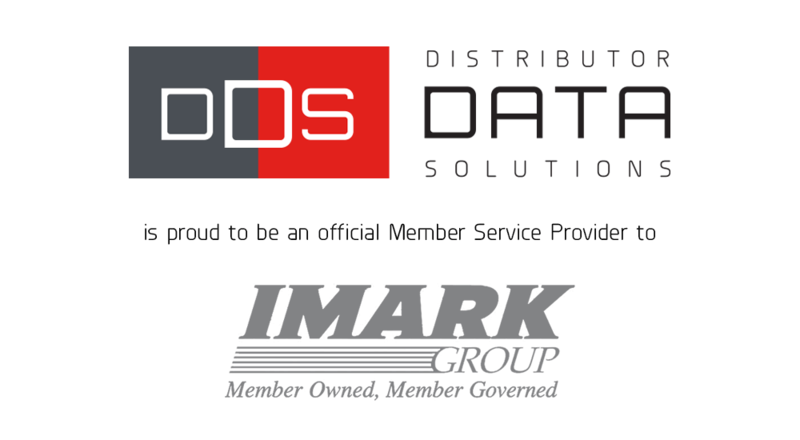 We are DDS (Distributor Data Solutions), the leading product content provider serving the wholesale distribution industry. 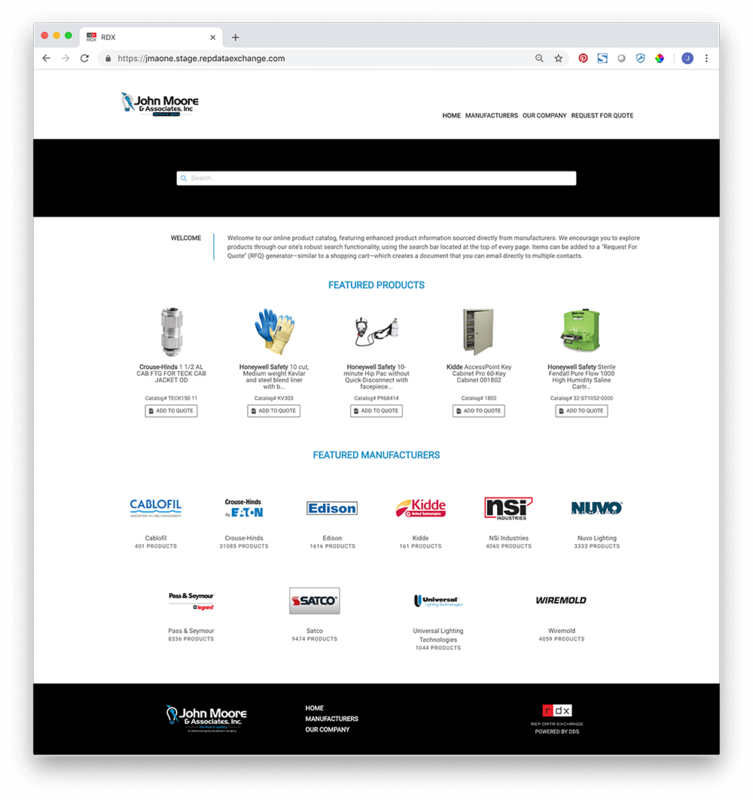 We work with more than 870 industry-leading manufacturers across Electrical, Lighting, Solar, Plumbing, HVAC, Tool, Industrial and Automation industries to help them deliver next-generation product content to power distributors’ e-commerce websites. With more than 50 combined years of intimate knowledge and experience running a successful distributorship, we bring unrivaled industry expertise—together with the most advanced data technologies and top-tier developers and data analysts—to offer the most unique and advanced solutions available to the industry.